/ Modified jan 15, 2019 2:14 p.m.
Border Patrol Tucson Sector Chief Rodolfo Karisch speaks to the media June 13, 2018 about a shooting that wounded an agent on the border near Arivaca the day before. 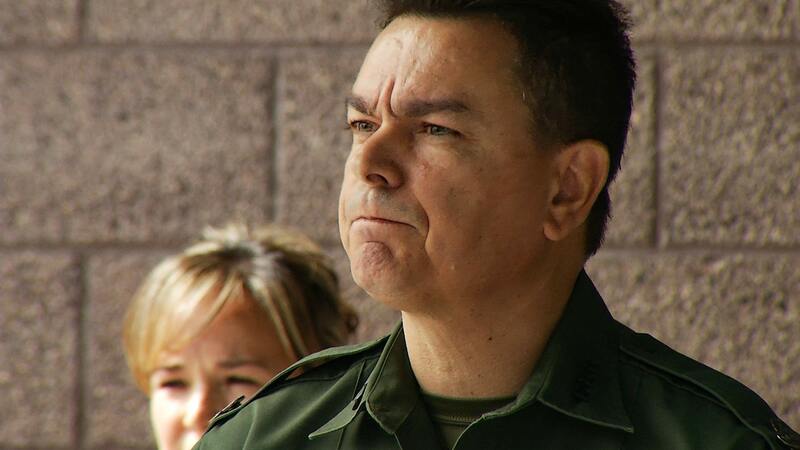 The Border Patrol's Tucson Sector chief is being reassigned to Texas. Rodolfo "Rudy" Karisch has managed local operations since mid-2017. In an interview with Arizona Public Media last summer, Karisch said control of the border is fragile, and the traffic pattern of migrants and smugglers is always changing. "I think we've made tremendous efforts over the years here in Tucson, but the traffic can definitely come back," Karisch said. "If you've looked at the dynamics of the border over the years I think the flow of traffic actually goes from one part of the border to the other. Years ago we had problems in El Paso that shifted of course to California then to Tucson then to the Rio Grande Valley, so we always have to be prepared for that," he said. While the agency hasn't officially announced the move, Pima County Sheriff Mark Napier posted a message on social media thanking Karisch for his service. It's unclear who will replace Karisch as chief of the Tucson Sector. You can see more of our June interview with "Rudy" Karisch here.